I’ve never been a Black Friday shopper. Just never saw the excitement in going out super early (or nowadays, Thanksgiving night) in the cold on the morning after I’ve stuffed myself all day the day before fighting crowds of people to shop. It’s just not my cup of tea. However, Cyber Monday is my day. I can remember back when I first heard those two words put together… Cyber Monday. Over the last several years I primarily do my shopping online. It’s convenient and less stressful. Cyber Monday is my cup of tea. I love a good Cyber Monday sale like the one starting today at Sears! One thing on my list this year is an Air Fryer for my Mom. We have one, and it is one of my favorite kitchen appliances. It’s easy to use, and you can make dishes so much healthier by air frying them. 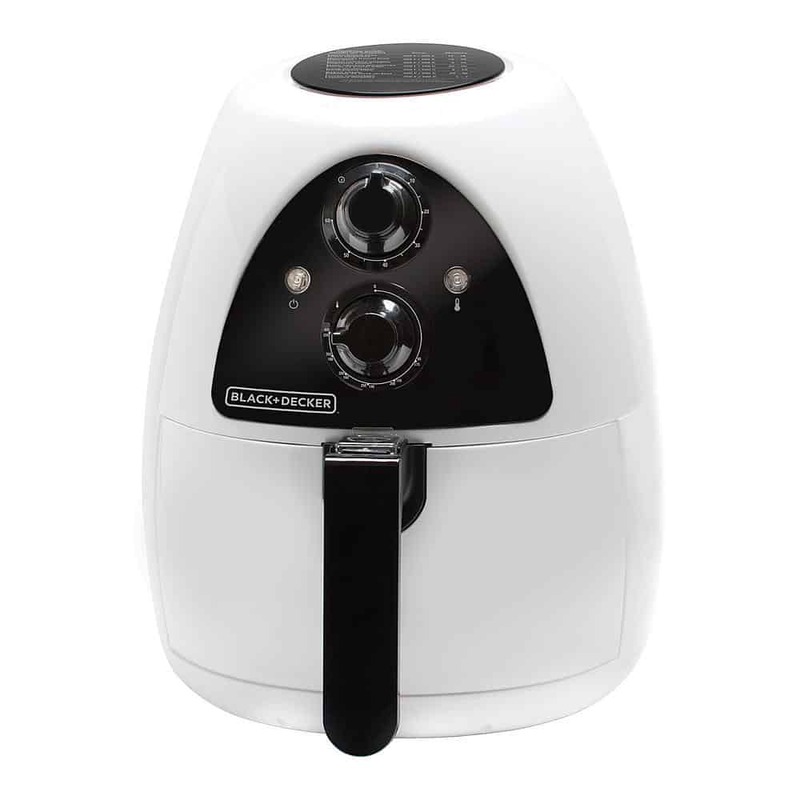 This Black + Decker Air Fryer is perfect and with the Cyber Monday promo code it’s a great deal, too! Extra 10-20% Off All Orders. Deal Valid: Saturday, 11/24/18 – Tuesday, 11/27/18. When: Wednesday, November 21st at 12:00 AM ET to Tuesday, November 27th at 11:59 PM ET. 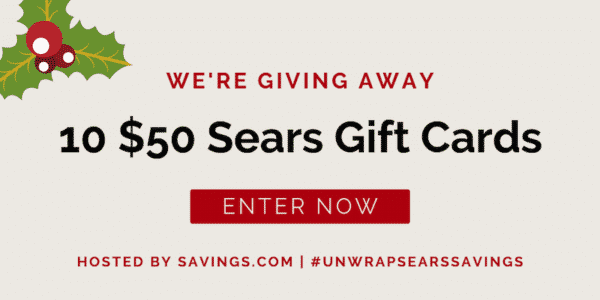 How: Enter the giveaway by heading to the Sears page on Savings.com and submit your email address on the form at the top of the page. Prizes: Ten (10) winners will receive a $50 Sears gift card. Winners will be chosen through a lottery drawing and notified on Wednesday (11/28) via the email address you used to enter.